If you are worried about the appearance of dark scars on your body, you can treat them at home. However, while natural remedies may work for smaller scars, for more serious scars you might need a prescription. A dermatologist can help you decide which treatment option is best based on the type and location of the scar. If you're using natural products, keep in mind that it can take months before you see any difference in the coloring of the scar. 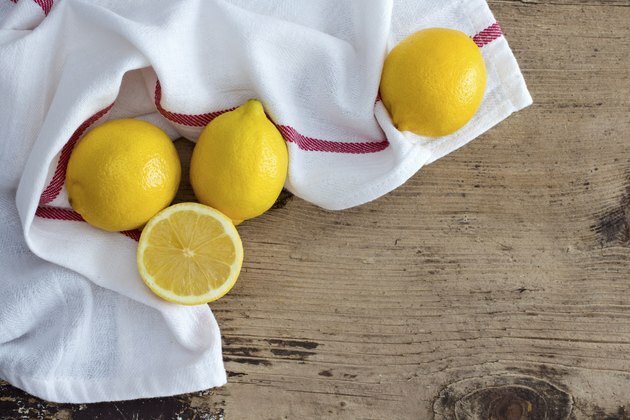 Apply fresh lemon juice directly to the scar, using your fingers or a cotton ball. Repeat several times a day for at least a few weeks. Lemon juice is acidic and may help bleach the skin. Rub vitamin E oil directly onto the scars and the surrounding skin. Vitamin E can help soften the scar, making it less prominent. Because vitamin E is an antioxidant, it can also help halt the formation of free radicals, which age the skin and prevent healing. Olive oil and coconut oil can also help, although these are less effective than vitamin E.
Apply an over-the-counter scar-lightening cream that contains allium cepa bulb extract to the area. Allium is a type of onion used in the making of creams such as Mederma, which doctors often recommend for stretch marks and acne scars. Follow the directions on the packaging. You might need to apply the cream several times a day for up to six months to see a difference.